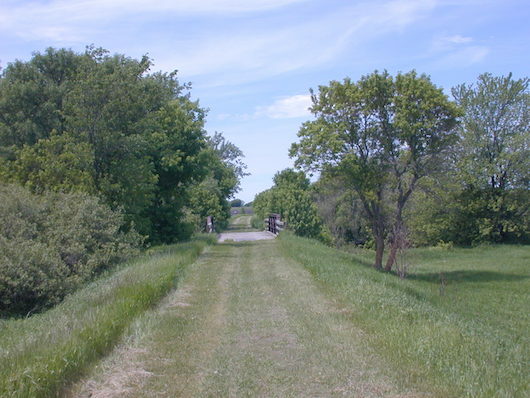 This 63-mile ‘rail trail’ is a great way to access some of the beautiful countryside from near Minneapolis. Although the official trail map has the trail running west from Plymouth to Cedar Mills, there are access points further east in Theodore Wirth State Park. The trail has different types of terrain, from woodland to some more open sections passing through fields . The surface is mainly limestone and crushed granite, but there is a paved section from Winsted to Hutchinson. Especially pretty in fall. This map has good info on trail sections, segments, and surfaces. Note: In winter, particularly in some of the western sections, priority is given to XC-skiing and snowmobiling.